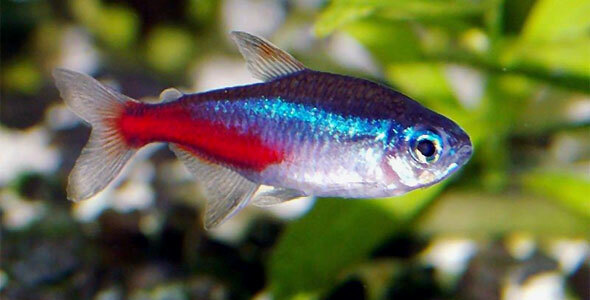 Small and bright, animated Barbs are an instant hit in the fish tank. Be careful though as each variety of Barb comes with a different personality and can terrorize your other fish or avoid them. Many varieties of Barbs, though relatively peaceful, can become bullies and are known for being fin-nippers. Regardless, they are generally pleasant in a community aquarium and enjoy schooling with one another to engage in darts around the tank and other fish-like games. These fish are easy to care for, hardy and readily available in most pet stores. Cherry – Bright Pink, the Cherry Barb lives up to its name. It is a small fish with a dark pink streak running down its side from nose to the base of the tail. 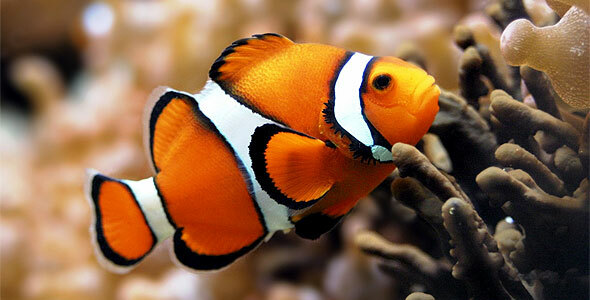 Clown – A bright, fluorescent orange, the Clown Barb sports wide spots that almost make vertical bars along the body. 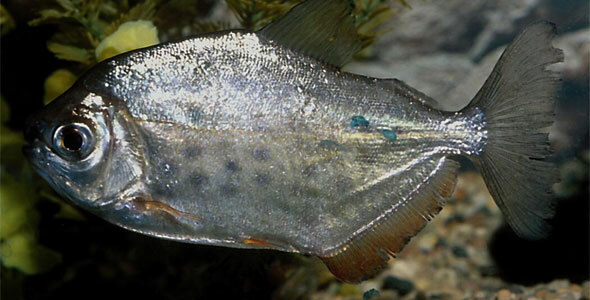 Tin Foil – One of the largest barbs, the Tinfoil Barb can grow to nearly ten inches and is a bright silvery color with bright orange fins. Tiger – Something of a cross between the Clown and Tinfoil Barbs, the Tiger Barb has a silver body with broad, black vertical strips and orange highlights on its tail, fins and nose. Barbs are freshwater tropical fish which means they need warm water around 75˚F with a pH between 6.5-7.5. 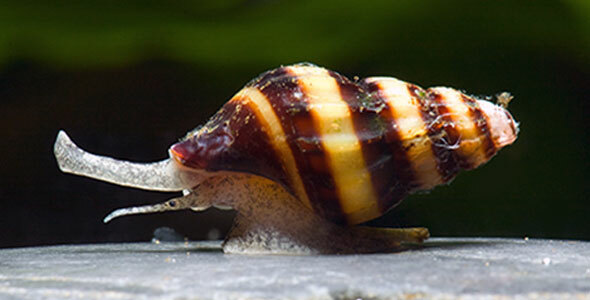 Because of their energetic tendencies, they do best in a long tank with more swimming room. Barbs should not be kept in tanks with slow-swimming, long-finned fish as they will nip at fins and aggravate your other fish. Barbs do not have any special dietary requirements and will quite happily exist off flake foods alone.